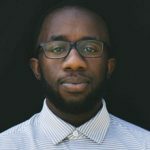 Rashard Barnes encourages you to grow in cultural intelligence in order to display the gospel to a diverse campus community. In an article for the Harvard Business Review, P. Christopher Earley and Elaine Mosakowski define cultural intelligence as “an outsider’s seemingly natural ability to interpret someone’s unfamiliar and ambiguous gestures in the way that person’s compatriots would.” They would further say that cultural intelligence is related to emotional intelligence and that someone with high emotional intelligence can see what makes someone human and at the same time understand what makes someone different. As Christians, we pursue cultural intelligence because it celebrates the Imago Dei. If your ministry does not grow in this area, it can communicate to outsiders, especially non-believers, that your ministry does not cherish them. Let me share an example from my own life. Over the past ten years since I have been in majority spaces. I often get pulled aside from a well-meaning white brother or sister telling me that they have someone for me to meet. After about three seconds of processing, I know what is coming next. They want to introduce me to their black friend. Now, there have been multiple times I have had interactions with those same people, and they didn’t feel it necessary for me to meet other people in their lives, but with this particular person, we share the same skin color. Now, I want to be cautious here. I am thankful that these individuals did not buy in the “colorblind” theology which thinks that one’s skin color should not matter and that everyone is the same in God’s sight. That is true when it comes down to sin, but that is the only instance in which that idea is true. To tell someone that their skin color does not matter is to reject that part of them and to devalue an undeniable part of who they are. There is more to say about the “colorblind” theology, but I have digressed. What happens in those interactions where a friend from another culture introduces me to someone that seems to look like me is that they unassumingly think that all people that look the same must think, act, and believe the same. They don’t say that out loud, and they might not even be thinking about it, but they are inherently hoping that their new friend of color and their old friend of color make a connection. Why? First, they want their new friend to feel welcomed, which is why I give them the benefit of the doubt. However, I think the underlying reality that those individuals are perpetuating is a problem. Assuming all people who look the same must think and act the same is wrong. That is where most people confuse color and culture. This one is the hardest to define because we all interpret it differently. Socially, we see race as physical traits and biological features that distinguish people. Politically, it is a social construct used to distribute and maintain power. Culture is the customs, beliefs, social forms and material traits of a particular ethnic, racial, religious or social group. It is reflected in the language, speech patterns, behaviors, artifacts, and relational styles that are unique to that group. Ethnicity is a shared cultural practice, perspective, and distinction within a culture that creates a shared cultural heritage. The difference between culture and ethnicity is that ethnicity maintains cultures. These distinctions include language, social views, shared history, rituals, characteristics, customs, and beliefs. I know this a bit simplistic, but having some terminology and handles is helpful if you’re trying to live within a multicultural space. Understanding this framework will help you process your thoughts, which in turn will help you relate to the person you’re trying to introduce. Teaching cultural intelligence allows for your students and ministry to become a place where everyone feels welcome. Cultural intelligence will enable you to cherish your students and see them as image bearers. However, I think some of the hesitancy to move forward in this journey is the fear of judging someone because of their race. I believe there is a difference between discrimination and cultural intelligence. One leads to judging, and the other leads to understanding. This is important in your ministry because it helps you and your ministry honor Jesus and celebrate the Imago Dei. If we focus on diversity apart from the gospel, we are putting culture over Jesus. But our pursuit of diversity should be driven by the Gospel. Simply put, your sin made you different from God, but God who was without sin came towards you and reconciled you unto himself. He then called us to imitate him to be reconcilers (2 Corinthians 5:14-21). You choosing to do some homework on someone’s culture is loving them and honoring to Jesus. Of course, you are going to make mistakes, but it’s better to try than keep with the status quo. Next time you meet someone from another culture, try understanding that person’s background and story before you attempt to pass them off to your closest friend of color. I heard it said once that people of color have many white friends while white people only have one black friend. I want to be gracious here. Your gesture is honoring in the realization that you are different from that person, but God is asking you to dive into the understanding that all people are made in the image of God. He called everyone to love their neighbor as themselves. And he might be asking you to befriend that person who is different from you. So I want to leave you with Luke 13:29, “And people will come from east and west, and from north and south, and recline at table in the kingdom of God.” In God’s kingdom, everyone will recline together at his table, so why wait when we can do that now?